Editor’s Note: On February 11, 2012 – after the following article was published – Whitney Houston was found dead in a suite at the Beverly Hilton Hotel, in Beverly Hills, California, submerged in the bathtub. The cause of death was not immediately known. City Connect offers our deepest sympathy to Whitney Houston’s family and fans. Whitney Houston, the songstress, actress, and often times “in your face” diva’s return to the fold of celebrity spotlight could be classified as a Phoenix rising of sorts. Not that Ms. Whitney Houston is being compared to a mystical creature, but, more like a fierce warrior woman with an agenda – to show the world that she IS a survivor! Recently, I caught a 2 part interview of the embattled star as she began making her comeback to acting after a 15 year absence. Whitney Houston appeared strong, determined and happy while speaking exclusively to Access Hollywood’s Shaun Robinson in Detroit where her new movie Sparkle was filming. When asked why she’d taken the role of mother to Jordin Sparks playing daughter in the movie, made famous in 1976 by Irene Cara, Whitney Houston says “I felt it. I felt a passion for the role… the love a single woman have for her children in the late sixties.” Although Whitney Houston admitted being apprehensive doing the remake, she thought it was fun and that everyone was going to love the film. Whitney Houston admits she didn’t watch American Idol when Jordin Sparks was a contestant who ultimately became season 6 American Idol winner. She admits to giving the new actress hugs because she knows how it feels to be in Jordin’s shoes, stating she was “petrified” filming The Bodyguard with Kevin Costner. On her daughter: She’s my greatest inspiration. Whitney credits her role as mom to 18 year old Bobbi Christina in helping to prepare her for the movie. On her fans: I’m honoured and humbled that I’m still doing what I love to do. The interview on Access Hollywood with Whitney Houston reveals a bit of what’s going on with her, but, oddly enough, Whitney didn’t say when she’s going back into the studio to record another awesome album. 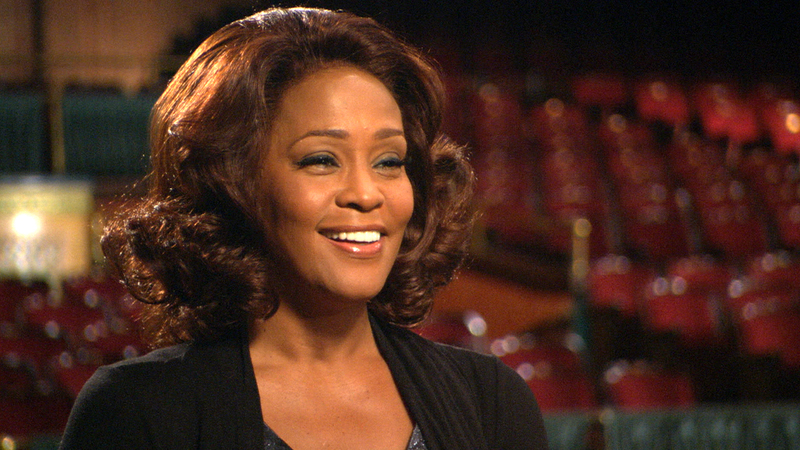 Whitney Houston sings… Wow, another chapter in the life of a talented Phoenix. Sadly, it was the late singer, Aaliyah who was first cast in the role made famous by Irene Cara. Tagged celebrity, film, music. Bookmark the permalink. Whitney’s death reminds me of Amy Winehouse, Alexander McQueen and all the other famous bright stars who sadly ended their lives in tragic circumstances… is the 15 minutes of fame worth it? So sad that she’s no longer with us… Whitney Houston was yet another amazing talented artist whose life ended tragically. I’m devastated by the news of Whitney Houston’s passing.